Directed by George Miller. With Tom Hardy, Charlize Theron, Nicholas Hoult, Zoë Kravitz. 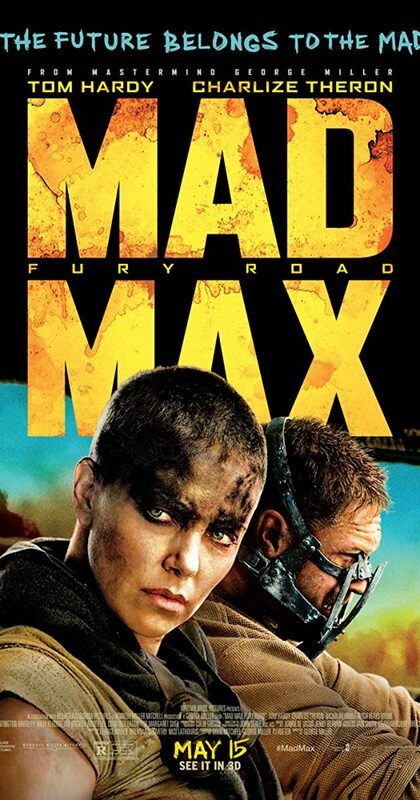 In a post-apocalyptic wasteland, a woman rebels against a tyrannical ruler in search for her homeland with the aid of a group of female prisoners, a psychotic worshiper, and a drifter named Max.